In 1795, three teenage boys discovered a strange, man-made hole on Oak Island, a small, wooded island just off the coast of Nova Scotia, Canada. As the boys began to dig, they found a number of intriguing artifacts. It was the end of the piracy era and rumors of buried treasure were rampant. The boys’ discovery launched a treasure hunt that has spanned more than 200 years, cost millions of dollars and involved dozens of speculators, engineers and even famous personalities such as John Wayne, Errol Flynn and Franklin D. Roosevelt.<br /><br />The search had gone dormant, but now, Rick and Marty Lagina, two brothers from Michigan, have bought most of the island and have renewed the efforts to discover the legendary treasure. 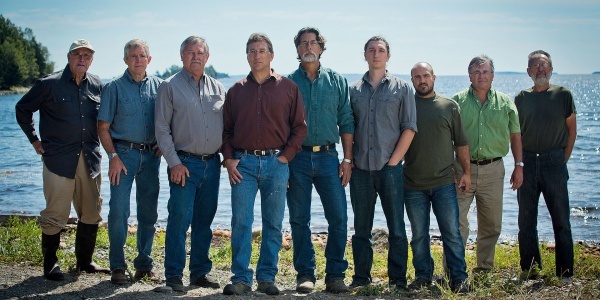 Since childhood, Oak Island has been a magical place of intrigue for these men. With Marty’s financial backing, Rick is now leading the adventure of his life. But will their luck be any different from the many explorers who sought treasure before them and failed?<br /><br />The Laginas insist that their goal is the fun of a treasure-hunting adventure, and if it becomes something that could splinter their brotherly bond, they’ll walk away. But obsession has been known to grip treasure seekers on Oak Island.<br /><br />Many men have taken on the hunt with the best of intentions, only to be left with decimated fortunes, broken spirits and lost lives. An ominous legend says that seven people must die in pursuit of the treasure before Oak Island will reveal her secrets. So far, the body count stands at six.